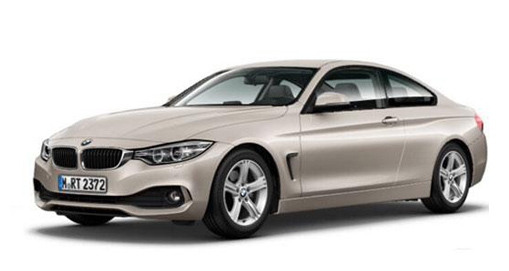 With excellent performance and compelling design as standard, the BMW 4 Series Coupé is perfect for drivers interested in a vehicle that guarantees excellent driving dynamics and pure motoring pleasure. Its sharp drive, roomy cabin finished to a high standard and great range of engines is sure to please even the most particular of car owners. The great choices of engines all deliver top performance and excellent economy – turbo charged and fast enough to satisfy speedy drivers and low enough CO2 emissions to offer temptingly moderate tax rates. The sportier design is backed up with an altered chassis that’s softer and more absorbent than competitors in this range and 50:50 front to back weight distribution makes taking corners a genuine pleasure. BMW’s classic kidney shaped grille is framed by LED headlights and fog lights to enable you to see in all weather conditions and adaptive LEDs can be included on request. Safety standards all round are great for the 4 Series Coupe, and servicing shouldn’t be too much of an issue with an option to pay upfront to cover these costs for the first five years or 50,000 miles including replacement parts for MOT failure points.